Maintaining gutters is a very important job, and one which many of us can often neglect. Gutters often suffer from being out of sight, and therefore out of mind. However, this attitude can lead to all kinds of problems on the roof of your home. Temperatures are starting to plummet as winter well and truly sets in. In our latest post we look at which areas of your home to target to ensure you’re warm this winter. In our latest post, we look at why should plan ahead and replace your fascias and guttering ahead of the inevitable winter onslaught of harsh cold weather. Home security is absolutely essential so this latest post offers three tips on how to make improvements and subsequently increase the security at your property. If you are disappointed with the current outward appearance of your home, this latest post provides five highly effective methods of improving the look. 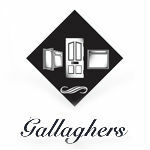 Why Choose Windows from Gallagher & Cropton? If you are looking for a new set of windows for your home, be sure to read this latest post to learn why many living in the Milton Keynes area choose Gallagher & Cropton.